Our second Patron is David Evans, whose father, Gilbert, was land agent to Colonel Paynter, (one of the principal landowners in the Lamorna Valley), and a very good friend of many of the early art settlers. David arrived at Lamorna in 1938 at the age of two weeks and lived at Tregurnow Cliff where his father, Major Gilbert Evans came to retire after his career in the Colonial Service. He was educated at Clayesmore School in Dorset and Wye College, London University, where he took a degree in Agriculture. His working life was spent in agricultural industry advisory services until he started an independent consultancy in the training field. He did work for the National Trust and was on its council for six years. He was an Associate Human Resource Consultant at Cranfield University and through that worked in Africa, India and the Far East training young plantation managers. He served as a magistrate on the West Kent bench for sixteen years. Having had a lifelong interest in Cornish painting he was appointed, on retirement, to the NADFAS directory of lecturers and travelled the country with a series of talks on the Newlyn School and the artists associated with it. 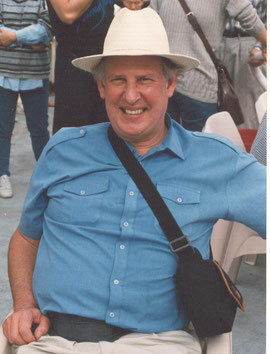 He was an early member and great supporter of the Lamorna Society and edited The Flagstaff magazine for five years. The funeral of our first Patron, Adam Kerr, was held on 16 August at the Parish Church of St Pol de Leon, in Paul village. He was a well loved and popular man,grandson of the artist Samuel John 'Lamorna' Birch. The church was filled with people who came together to pay tribute to Adam as a family man, a sailor and a loyal friend. The service began with the congregation singing the naval hymn, 'Eternal Father Strong to Save', followed by reflections on Adam's life by his son, Timothy Kerr. 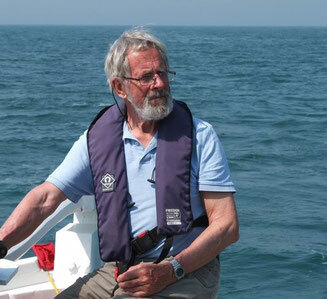 Captain Peter Morgan fondly recalled times on board Barnabus with Adam, particularly, the day they sailed along the River Thames, as part of the Pageant celebrating the Diamond Jubilee of Her Majesty Queen Elizabeth 11. 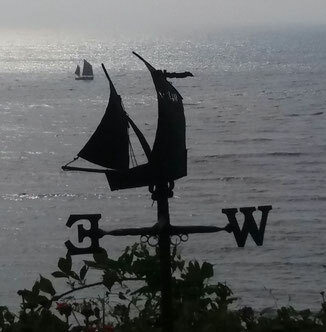 During the reading of John Masefield's 'Sea Fever' by Paul Armitage, a swallow, the bird that was once thought to carry the soul of a sailor to heaven, appeared in the church, flew up and down the aisles several times, then vanished from sight again. The congregation joined the Male Voice Choir in singing 'Lamorna'. Prayers were said, then a final hymn 'Abide With Me' was sung,followed by the Commendation. The moving service drew to a close with a recording of Louis Armstrong singing 'We Have All The Time In The World'. Afterwards all were invited to a gathering in Gerald Hayman's Field in Lamorrna. 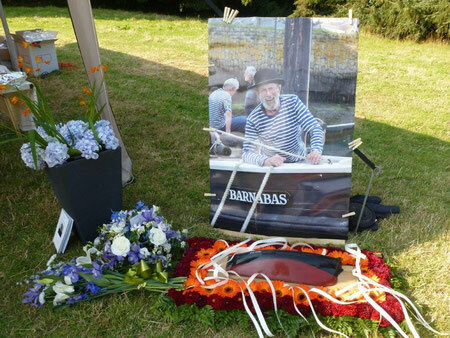 On the morning of the funeral Cornish Lugger Barnabus sailed into Lamorna Cove to give a twenty-one gun salute in honour of the man who had been their Skipper. Our thoughts and prayers go out to Adam's family, particularly to his wife Judith, and their two sons at this very sad and difficult time. The forthcoming issue of The Flagstaff will include some reminiscences of Adam. 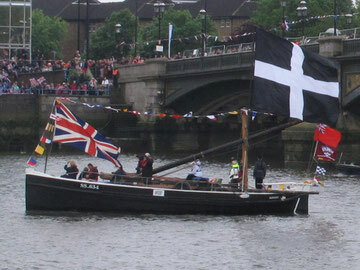 Barnabas on the River Thames as part of the Diamond Jubilee pageant. This photograph is copyrighted but also licensed for further reuse. 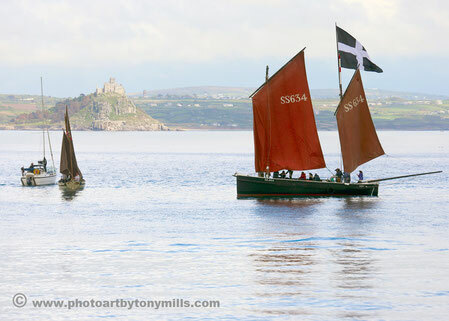 The ancient lugger, "Barnabas", in Mount's Bay.